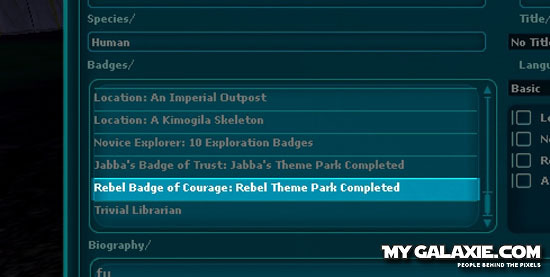 This guide will show you the steps that you have to take to finish the Rebel theme park. 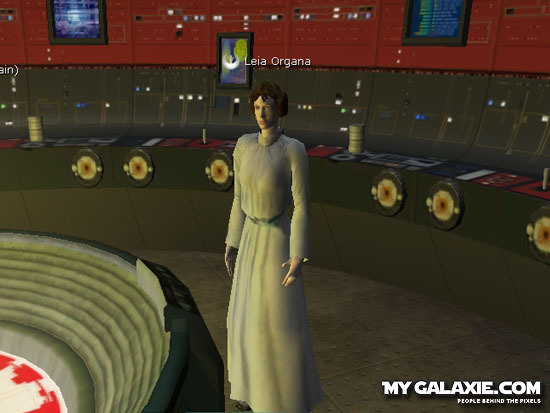 Along the way you will meet great Star Wars legends such as Luke Skywalker, Han Solo, Leia Organa and many more plus get lots of cool loot and a badge. This guide was brought to you by Neitro. You can do this theme park only as a rebel of course. It is very long (8-10hrs) and takes place on 4 different planets. 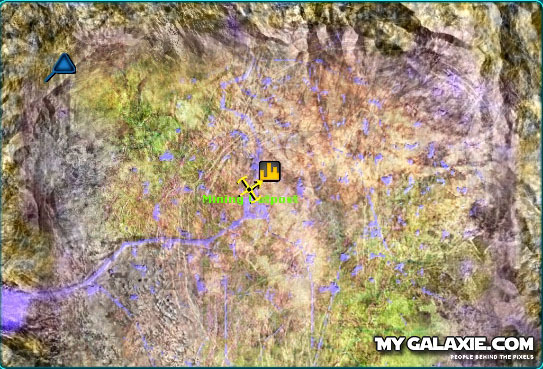 (Corellia, Lok, Dantooine, Yavin IV) It would be better to do the missions with a buff.The rewards are listed at the end of this guide. 1. 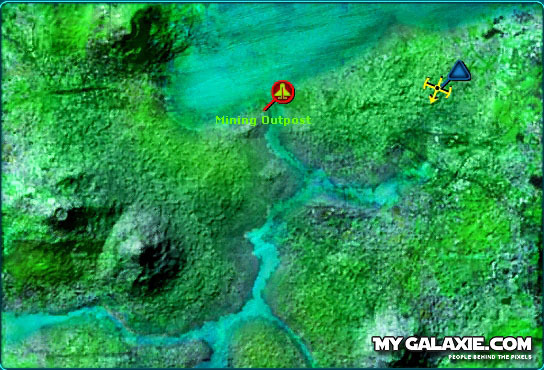 Head to the Rebel Hideout on Corellia to the Waypoint -6507, 5985. 2. 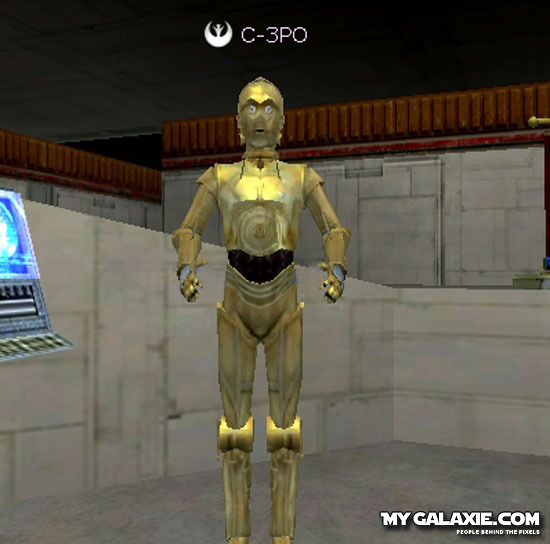 In the base you will find C-3PO. Talk to him and do his 4 missions. 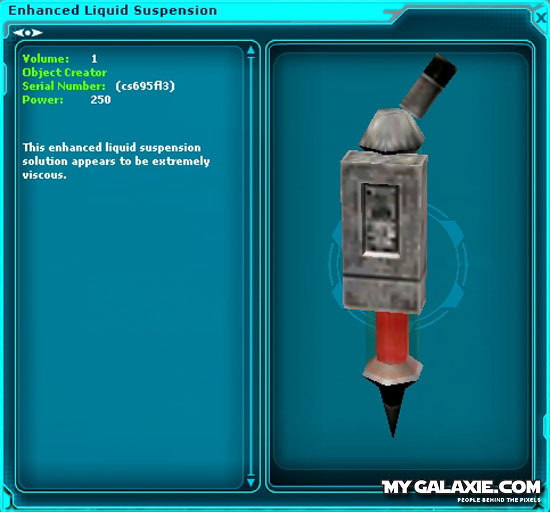 After completing these missions you will receive a Enhanced Liquid Suspension. 3. 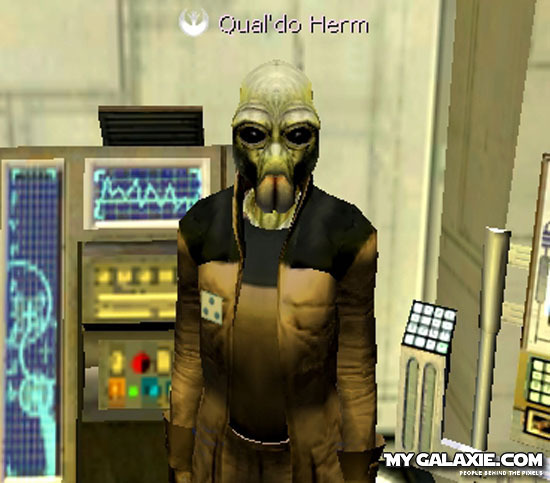 Next go and talk to Qual’do Herm he will also give you 4 missions. 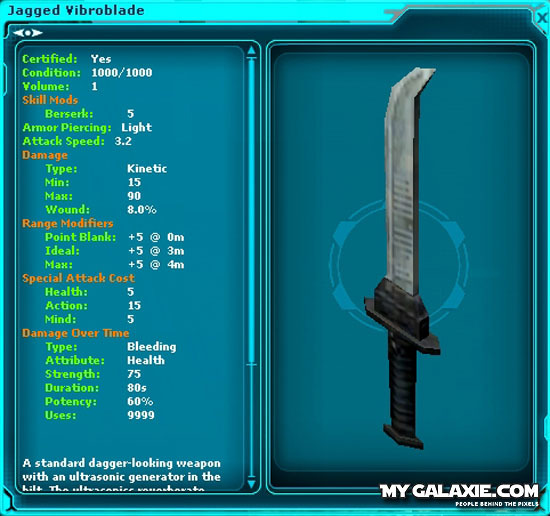 You will receive a Jagged Vibroblade as a reward for finishing these missions. 4. 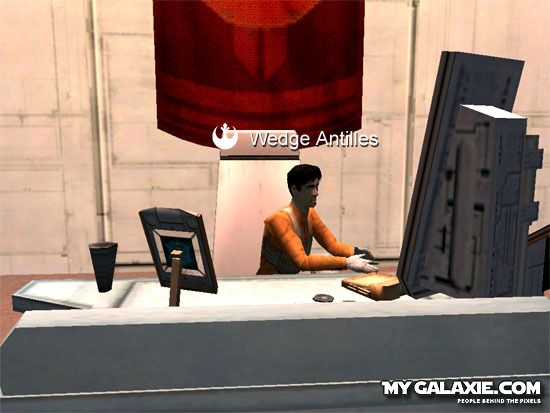 Find Wedge Antilles and talk to him, he will be seated at a desk. He has 5 missions for you to complete. 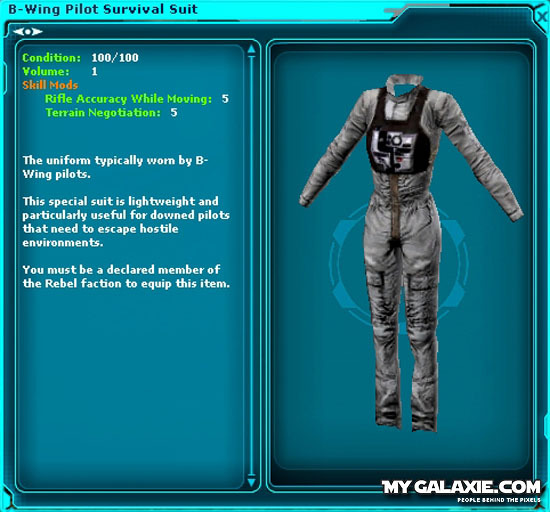 You get a B-Wing Pilot Survival Suit as the reward for these missions. 5. Go upstairs to Leia Organa. You will have to complete 5 missions for her. 1.) Kill 2 Imps ( 7K HAM) + speak to Deasie A. 5.) Kill 2 Imps (7K HAM) + speak to Imperial Undercover CommanderThe Cave is located at 6464, 3929. 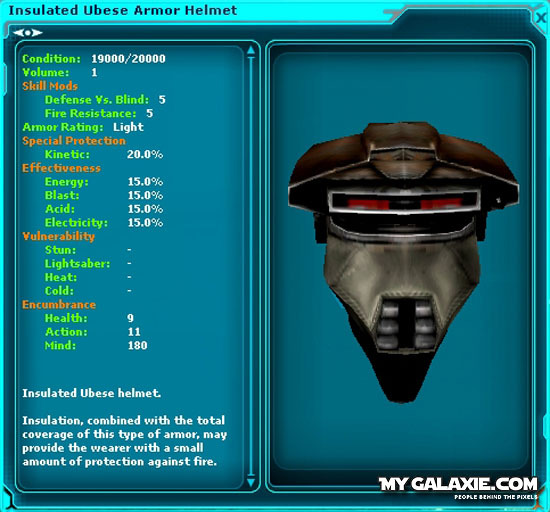 She gives you an Insulated Ubese Armour Helmet as your reward. 6. Head to Nym’s Stronghold on Lok. Go to the Waypoint 476, 5075. 7. Once you arrive there head to the cantina and go to the back of the Cantina, not the back room. 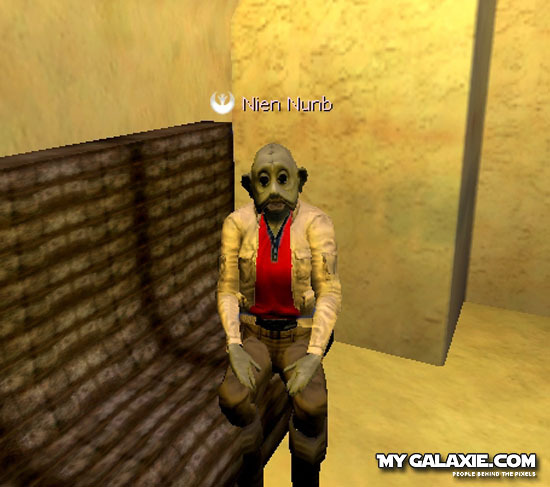 and speak to Nien Nunb. He will give you 4 missions. 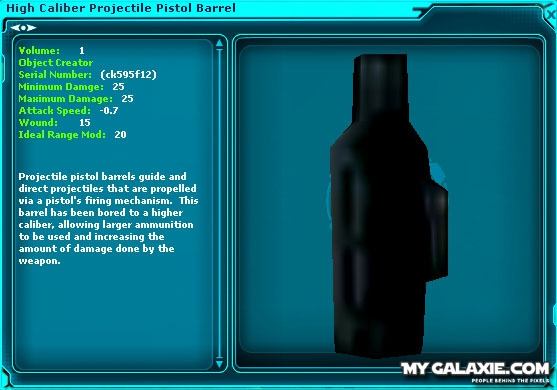 You will receive a High Caliber Projectile Barrel as a reward. 8. 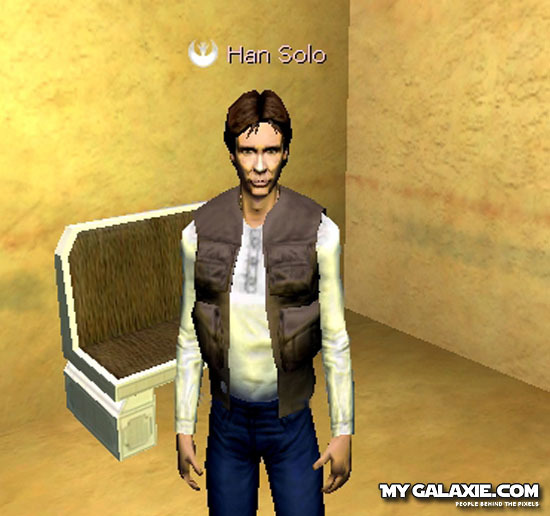 Next go to Han Solo in the backroom of the cantina. He will have 5 missions for you to complete. 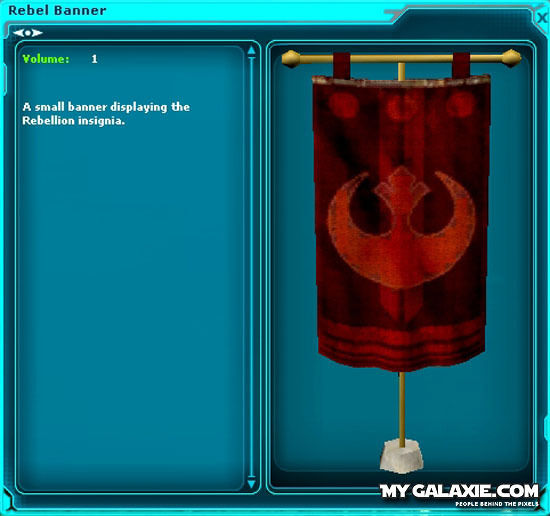 You will receive a Rebel Banner as a reward. 9. 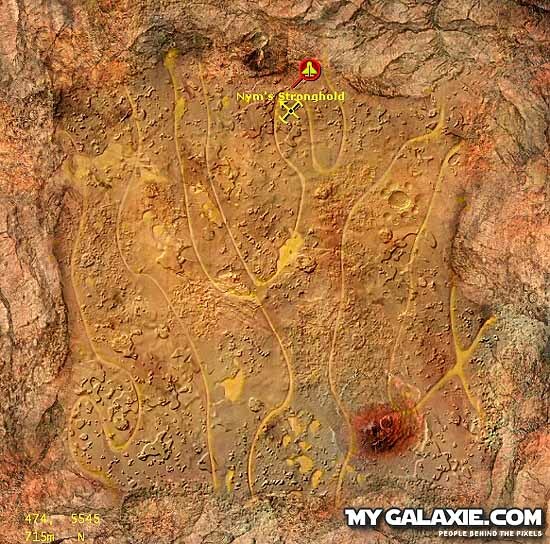 Head to the Abandoned Rebel Base on Dantooine at the waypoint -6812, 5560. 10. 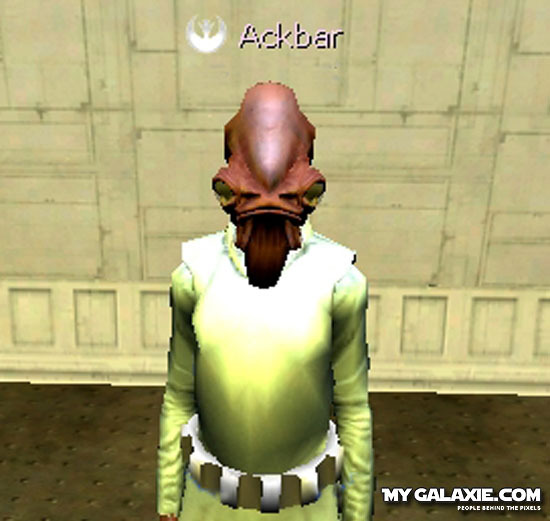 Speak with Ackbar. He will give you 5 missions. 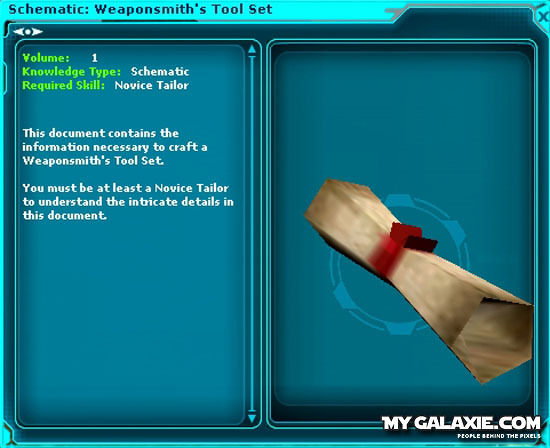 He will give you a Weaponsmith's Tool Set as your reward. 11. 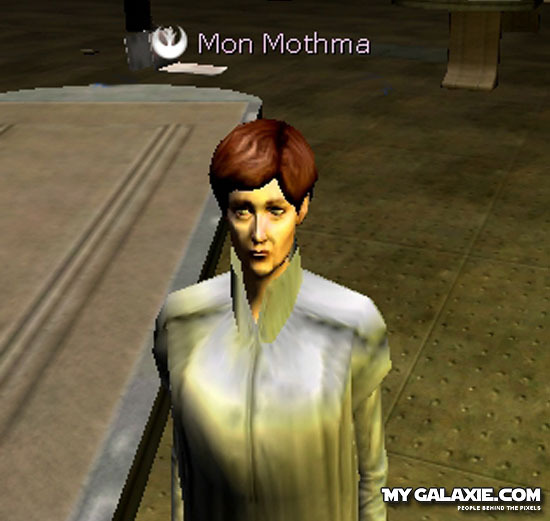 Head upstairs and talk with Mon Monthma. She has 6 missions for you to complete. 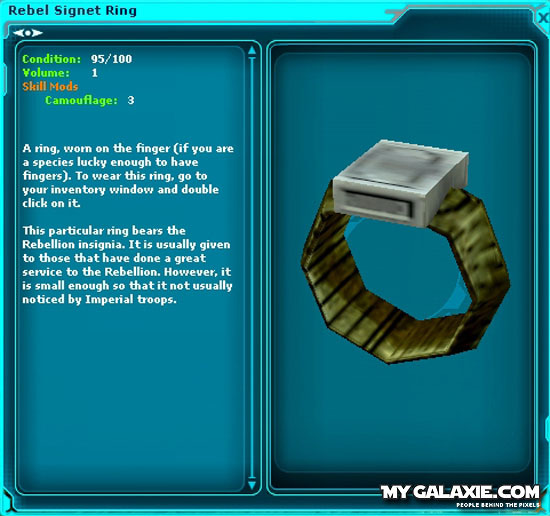 You will receive a Rebel Signet Ring as the reward for these missions. 12. 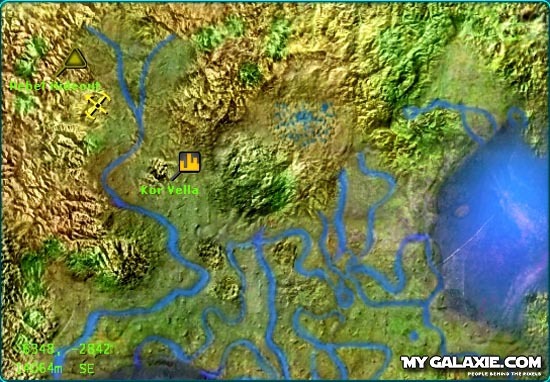 Head to Exar Kuns hidden temple on Yavin IV at 5015, 5537. 13. 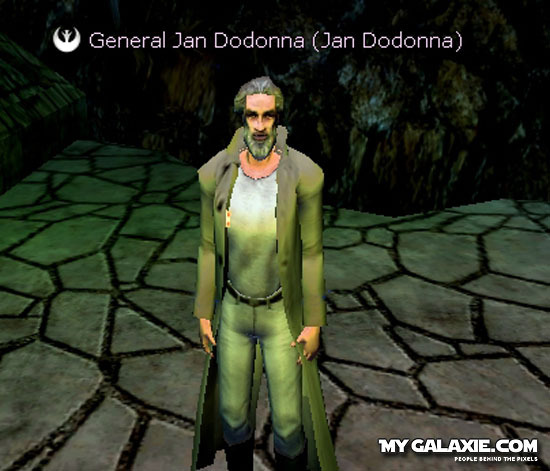 You will find Jan Dodonna in the temple. He will give you 5 missions. If have not completed the previous missions you will not be able to enter the temple. 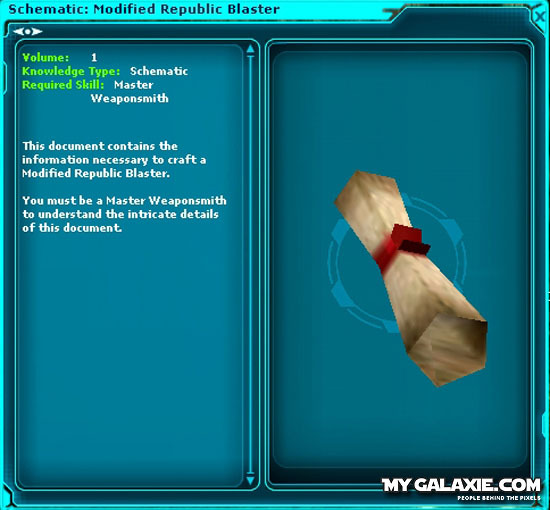 He will give you a Schematic for a Republic Blaster. 14. The last person is Luke Skywalker ! 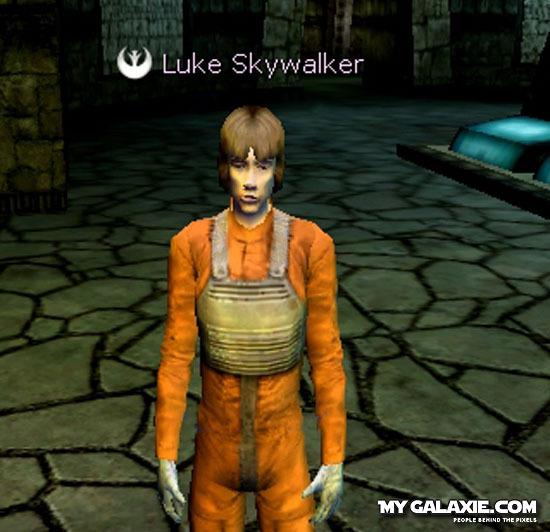 Yes, Luke himself! He is a bit downstairs in the temple. He will give you 5 missions. 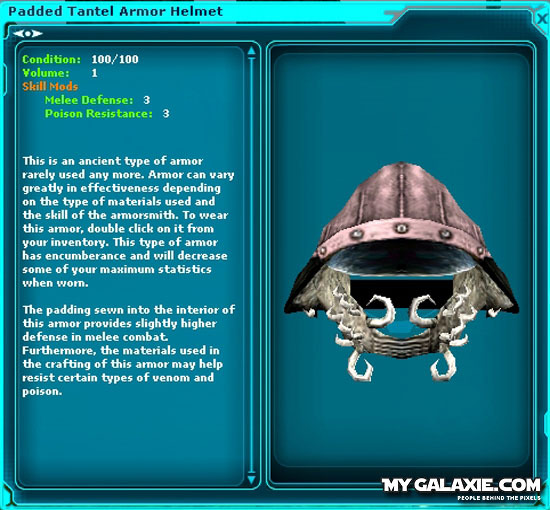 As your reward you will be given a Padded Tantel Armor Helmet.